During the joint process of planning, developing and delivering a joint learning initiative, respectful communication needs to take place between and about the parties involved at all times. Both parties to a joint learning initiative share a common understanding and commitment to the objectives of the joint endeavour. Working together involves active participation by both parties to reach consensus decisions. This Joint Learning Program implies an equal voice in decision-making where both parties agree that they can bring something of value. This may not necessarily result in a 50/50 distribution of work and resources by both parties involved in carrying out a learning initiative. The learning objectives and content of a joint learning initiative should represent a balance of both Union and Employer perspectives. The role of both the Union and the Employer must be established clearly and fairly in all learning initiatives. The role of each party should be legitimized throughout. Where both the Union and the Employer have a specific role in the workplace, learning initiatives should not be delivered solely by the Employer unless agreed to otherwise by the Union. The Employer should always respect the Union's right to define the roles and responsibilities of the Union Representative. The Union should also respect the Employer's right to determine its role in the workplace. Both parties will take responsibility in evaluating the success of each initiative. 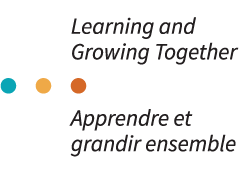 Where appropriate, the joint learning initiatives will be offered in both English and French. This includes all documents disseminated as part of the JLP. All joint learning initiatives will be referred to as such, highlighting the "joint" aspect and emphasizing the partnership between the Union and the Employer. Adults learn in different ways. This means that joint initiatives will respect the learner as an active participant in the learning process and will respond to their intellectual, sensory, emotional and physical needs. As part of a learning initiative, participants should be provided with an opportunity to translate what they have learned into practical action. This may include provision of work time to implement and/or practice what has been learned. Joint learning initiatives should be inclusive and respect the diversity of the workplace. This should be reflected in all aspects of design and participation. All groups of employees, working all types of hours in various locations, should have access to the joint learning initiatives. Proactive measures need to be in place to accommodate persons with disabilities. The balance between work and family obligations needs to be respected. Compatibility of co-facilitators, where applicable.